Police and National Disaster Response Force (NDRF) have been called in for rescue operations. New Delhi: A child was killed and four others were injured after a two-storey building collapsed near Nithari village in Noida sector 31 on Monday. According to reports, the incident took place when the owner of the building was carrying out demolition of the old structure. 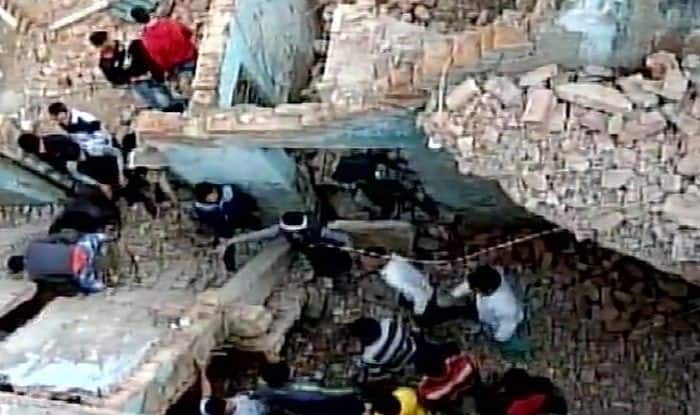 The latest mishap comes nearly a month after two children were killed after a school wall collapsed in Noida’s Salarpur area. The incident took place when the boundary wall of KM Public School fell on students sitting adjacent to it. Two boys, Bhupendra (8) and Vivek (7), were taken to nearby hospital, where they were declared dead on arrival.